​Face masks make a nice treat for your skin. With all the dirt, pollution and harsh conditions it can get exposed to, your regular skin care products and routine might not be enough to rejuvenate your skin and bring back its natural glow. For acne-prone skin, however, not all face masks can do wonders. Some can make your skin oilier while others can trigger more breakouts. To make sure none of those bad things happen, here are 10 DIY face masks for acne we highly, highly recommend. This might sound weird, but trust us. Banana can do wonders for your skin, especially if it’s prone to breakouts. For one, banana has vitamin C which is effective in reducing post breakout spots. It’s also one of the best vitamins in reducing skin inflammation and speeding up wound healing. It also has vitamin A that can treat your acne and help your skin repair itself. Another interesting ingredient in this face mask is honey. This ingredient has natural antibacterial properties to fight off acne-causing microorganisms. Peel the banana and use a fork to mash it up. Once there are no more chunks and solid pieces, mix the honey and stir carefully. Apply the face mask on your face and neck. Pro-tip: For easier mixing, you can warm up the honey in your microwave for a few seconds. Honey, as mentioned has an antiseptic property. In a simpler term, it’s able to prevent the growth of bad organisms, like those bacteria in your pores. It works really well in toning down inflammation, too. But, let’s be clear on one thing. Honey can only solve one issue and that’s the acne-causing bacteria on your skin. If your pores are clogged, it can’t get inside your pores to fight those microorganisms. And that’s where the rest of the ingredients in this face mask come into play. The oatmeal and nutmeg in this face mask will work as a natural exfoliant. The lemon juice, on the other hand, can help with oil control and in reducing redness. Crush the oatmeal into a fine powder using your fingers or a food processor. Add the nutmeg and mix the two. Mix the lemon juice until you get a clumpy consistency. Add in the honey and mix well. 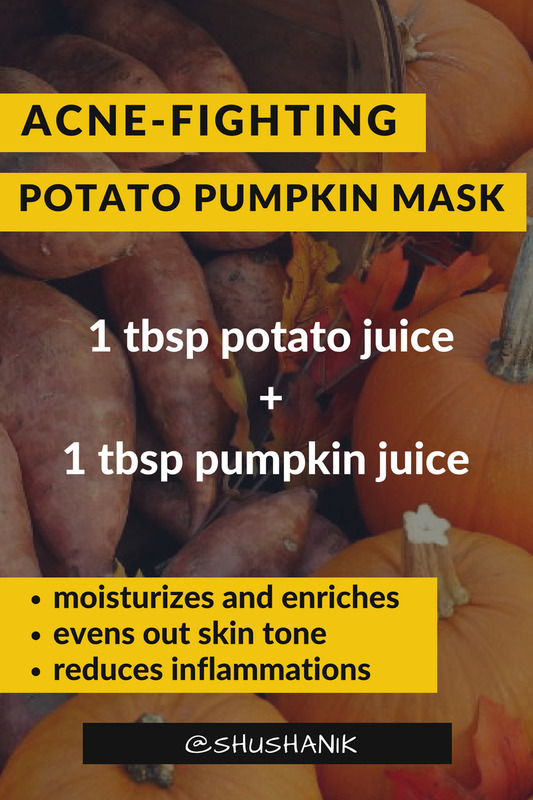 Apply the mixture and leave it on your skin for 20 to 30 minutes. Rinse with lukewarm water while doing gentle rubbing motions. This extra step can help with exfoliation. If you’ve been hunting for a great acne solution, there’s a good chance you’ve already read the good things about apple cider vinegar. It’s actually an amazing stuff. For one, it has malic acid which is able to kill bacteria, fungi and viruses. It can also restore your skin’s pH balance. Sodium bicarbonate, meanwhile, works well in loosening the skin around clogged pores. It can also soothe inflammation. Dilute your apple cider vinegar in a half glass of water. Get a separate container where you can place your baking soda. Slowly add the vinegar solution to the baking soda while stirring. Squeeze the lemon and add the honey. On a freshly cleansed face, apply the mask and let it sit for around 10 minutes. Rinse with warm water first and then finish off with cold water. This face mask requires ingredients you probably already have in your kitchen. Actually, you only need three things for this one. Simply mix everything until you get a paste-like mixture. Apply the mask by gently scrubbing it on your skin. Leave the mixture on your face for about 20 minutes before rinsing with cool water. Now, we know applying raw egg on your face can sound like a cringe-worthy experience, but hear us out. Egg white actually offers tons of benefits for the skin. It has protein that can help with tissue repair. It also has riboflavin which can help eliminate toxins and impurities. Partnered with honey and lemon, this face mask won’t just help you deal with your acne. It’s also effective in clearing blemishes and dark spots. Take a clean mixing bowl and beat the egg white and lemon juice until you get a frothy mixture. Wash your face with lukewarm water before applying the face mask. This will help open up your pores. Apply the face mask but be sure to avoid the areas around the eyes and mouth. After 15 minutes or once the mask has dried up on your face, gently rinse off with warm water. You may need to slightly rub your face to remove any remaining tackiness. Turmeric has this yellow color and distinct scent that can easily throw anyone off. But, despite these properties, turmeric is actually great for acne. It can specifically target P. Acnes, one of the most common bacteria that can cause skin breakouts. It also has the ability to remove excess oil. Don’t believe us? Well, try out this DIY face mask for acne and see for yourself. Combine the ingredients until you get a paste-like consistency. Apply on your face and leave it on for half an hour before rinsing. 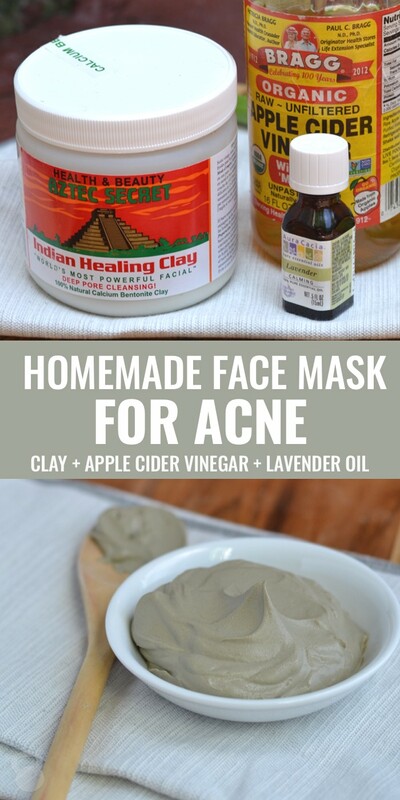 If you want to upgrade your usual homemade face mask for acne, then this DIY clay face mask is exactly for you. For this one, you’ll need bentonite clay. It’s one of the best clays for acne for its detoxifying properties and the ability to counter acidity. You see, when there are toxins in your skin, it becomes weak against oxidative stress. It becomes vulnerable to infections and inflammation. Combine all ingredients in a clean container and mix with non metal utensils. Take note of the consistency. If it’s too dry, add more apple cider vinegar. Add more clay if the mixture is too runny. Once you get the right consistency, which is paste-like, you can begin applying the mask on your face. Wait for it to dry, which can probably take around 30 minutes. If your skin is delicate and sensitive, limit the waiting time to 15 minutes. For removal, take a warm washcloth and place it on your skin for a couple of seconds before wiping off. In love with green tea? Why not use it in a DIY face mask? Green tea is packed with antioxidants that can protect your skin against free radical damage. It can also reduce your skin’s excess oil production and provide protection against acne-causing bacteria. Combine all ingredients in a bowl until the mixture turns into a paste-like consistency. Apply it on your face and massage for about a minute. Let the mask sit on your face for 15 minutes before rinsing. Avocado is more than just a superfood. It actually makes a great solution to acne, especially with its capability to remove impurities and excess oil. It’s also loaded with vitamins, like A and E, which are great for your skin’s overall health. Got some extra avocado? Here’s how to get started with this face mask. Open the avocado and scrape the meat out. Using your blender, turn the avocado into a paste. Add the honey and stir again. Apply the mask all over your face. Make sure to avoid the delicate areas around your eyes. After 15 minutes, loosen the mask with lukewarm water and then rinse off with cold water. Papaya is one of the little-known ingredients that are effective against acne. It has lycopene which actually possesses potent antioxidants. It also has enzymes that can ward off bacteria, fungi and viruses. It helps with exfoliation and unclogging pores, too. Simply mix all the ingredients and apply the paste on your skin. Leave the mask on for 15 minutes before rinsing. Oatmeal has this soothing effect to calm your angry spots. It can also provide gentle exfoliation so you can get silky, smooth skin. When partnered with baking soda, this face mask can help your skin stay free from clogged pores. That means freedom from acne, too! Mix the oatmeal and baking soda in a clean bowl first. Add in just the right amount of water to create a thick paste. Once you’re able to get the right consistency, apply the mask on your face and wait for it to dry. Use lukewarm water when rinsing off the mask. For your final rinse, use cold water to tighten up your pores. If you are worried about post-breakout scars and spots, try this aloe vera acne mask. It can soothe inflammation and redness and also possess antibacterial properties. Always check the aloe vera gel you are going to use. Ensure that it has no preservatives and additives. Mix the two ingredients together in a clean bowl. Apply the mixture on your face and leave for around 30 minutes. Rinse your face after and pat dry. This face mask is a great option if you are looking for something that can reduce your inflamed spots while hydrating your skin. You can also use this a couple of times each week to brighten your skin tone. Soak or damp gauze in the mixture. Apply on face and let it sit for around 10 minutes before rinsing off. Cucumber is one of the best remedies not just for wrinkles, but acne, too. It has a natural astringent property. Oats, on the other hand, can absorb excess oil and shine. It also works as a mild exfoliant. Adding honey is optional for this mask. But, with its natural antibacterial property, we suggest you give it a try. Place the cucumber and oats in your blender. Add in the honey and squeeze the lemon. Blend everything until you get a smooth paste. Apply this on your skin using gentle massaging motion. Leave the mask on for fifteen minutes before rinsing off with cold water. Now, before you skip this one, hear us out. 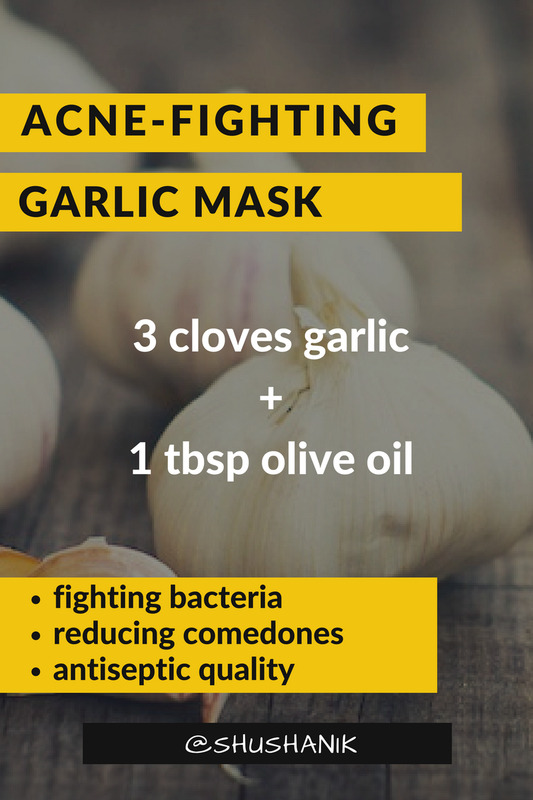 While garlic doesn’t have the most amazing smell, it’s one of the best acne solutions. It can fight off bacteria, yeast, fungus and even viruses. Garlic can also lessen comedones which, in essence, means lessening your breakouts, too. Once minced, you can transfer to a clean bowl and add in the oil. Take out a gauze, fold it in half and place the mixture inside it. Apply the gauze on your problem areas. After 15 minutes, wash off the mask with cool water. Salt isn’t only great for cooking. Would you believe it works wonders for acne, too? Salt is a natural cleanser which can also help c﻿﻿ont﻿﻿rol oil. It can also deeply cleanse your pores to free them from impurities. Just mix a bit of salt with water and apply it on your face or affected areas of your face. After 20 minutes, rinse off. For this face mask, you only need three tasty ingredients you probably already have at home. Strawberry naturally have salicylic acid which can help with clogged pores. Honey, on the other hand, can help heal existing breakouts and prevent new ones from forming by fighting off acne-causing bacteria. There’s also lemon in this recipe which is great in brightening the skin and evening out complexion. Using a fork, mash up the strawberries until they form a mushy consistency. 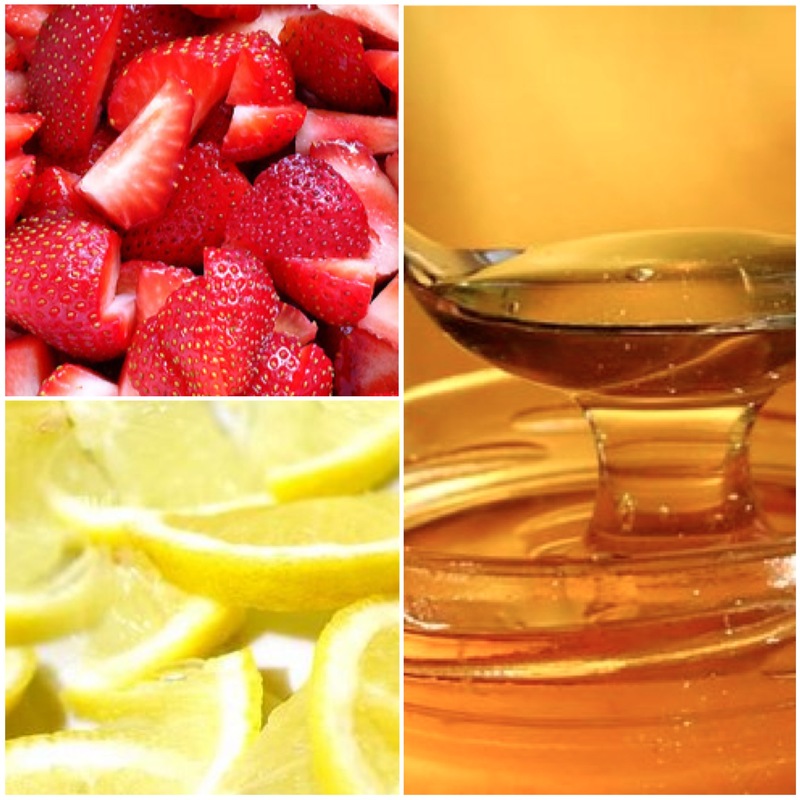 Squeeze the lemon into the strawberry and add in your honey. If the mixture is too liquidy, you can add in more honey. Once you get the right consistency, apply the mask on your face and leave it on for around 12 minutes. Got some extra orange juice? 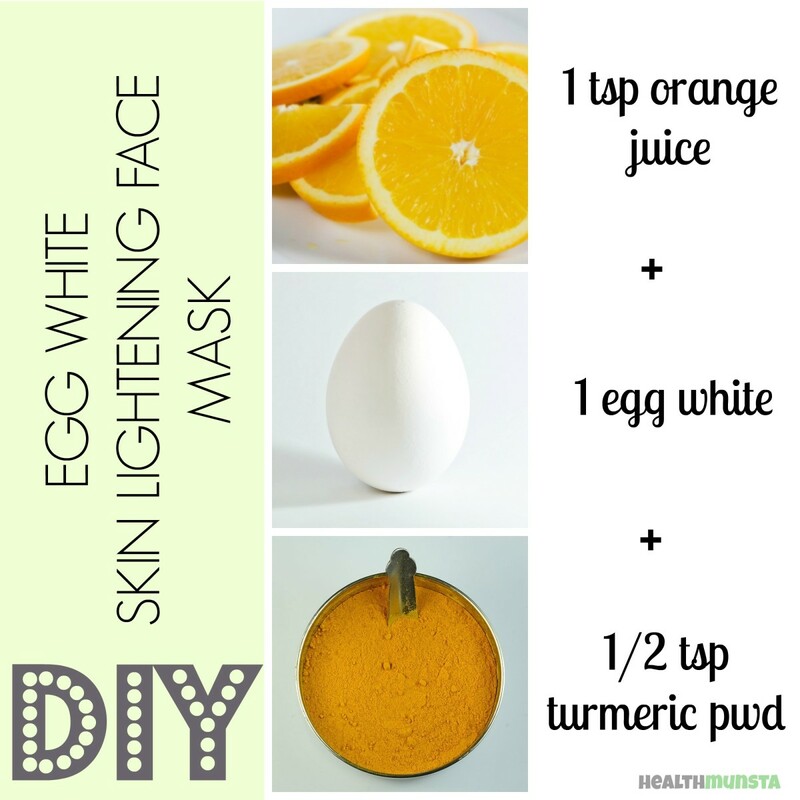 Try this orange with baking soda mask and see for yourself why we included it in this list. Apparently, orange juice has antioxidants that can protect the skin against free radicals. It also has the ability to tone done inflammation that can make acne worse. Mix the two ingredients in a bowl until the fizz subsides. Apply a thin layer on your face and wait for around 15 minutes before rinsing off. Dry skin and apply moisturizer after. Activated charcoal isn’t only great in drawing out toxins. When used in this face mask, it can actually help you get rid of skin impurities. Combine lavender, cumin seed oil and activated charcoal with apple cider vinegar until you get a paste. Apply this on your face and wait for it to dry. For something refreshing, try this mint face pack. Despite the few ingredients (there’s just two!) it requires, you’ll actually have a great time having this on your face. Take note that a tingling sensation is expected, especially on the areas of your face where you have breakouts. Grind a few mint leaves and add a bit of honey. Acne scars, on their own, are frustrating. And if you also have wrinkles to deal with, the frustration greatly doubles. Fortunately, there’s this mask to help save the day. Containing just 4 ingredients, you can quickly prepare this one in no time. Get a bowl and mix everything together. Apply the mask on your face and let it dry for 10 minutes. Rinse off with warm water and follow up with your favorite moisturizer. This homemade perfect skin mask is super easy to make yet it’s one of the most effective masks you can use for your skin. Honey, as you already know, has the ability to fight bacteria while nourishing the skin. Baking soda, meanwhile, can exfoliate and remove dead skin cells. Plus, it can remove blackheads, too. Apply on clean skinby using gentle, circular motions. Let the mixture sit on the skin for around 20 minutes before rinsing. For best results, use twice to thrice a week. Great article! I tried banana face mask and it made my skin glow instantly. I have been suffering from eczema for a long time and so my skin tends to look dull sometimes. I have tried a lot of treatments but I could not see any difference. These masks are really good if you are suffering from eczema as it soothes your skin without giving you a burning sensation. Thank you for sharing.